Blue Eyed Beauties is an ARBA registered rabbitry (#D1170) that is located in Stanley, Virginia which is in the scenic Shenandoah Valley, that is surrounded by the beautiful Blue Ridge Mountains. I currently specialize in Holland Lops & Netherland Dwarfs primarily in Blue Eyed Whites. Other color projects that I am working with in my Hollands are; Torts, Shadeds (Sable Point & Blue Point), Agouti (Chestnut & Opal), and Frosties. All in brokens and solids. In my Netherlands; Otters (Black & Blue), Self (Black & Blue), Agouti (Chestnut, Opal, Chinchilla & Squirrel), all in brokens & solids. My rabbits are fed Manna Pro rabbit feed along with a mixture of rolled oats, black sunflower seeds, sweet feed, and alfalfa bits. They are also reguarly fed hay all year round, & are fed fresh grass in sping & summer. 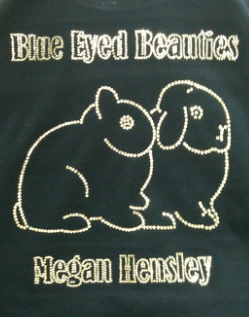 The name Blue Eyed Beauties came from my obsessive admiration for gorgeous blue eyes on rabbits. My main focus here at Blue Eyed Beauties is to breed good quality Holland Lops & Netherland Dwarfs. Starting off from the very bottom & working up tward a better future for my herd. I have rabbits living in Indiana, Massachusetts, Maryland, Montana, North Carolina, New York, Oklahoma, Pennsylvania, Virginia, & West Virginia. I would like to tell you a little bit about myself. My name is Megan & I am 17 years old. I've always had a great love for animals. I grew up around all kinds of animals. Now I have 1 chinchilla (Chi-Chi), 3 ducks, 4 cats (Patch, Sunshine, Meera, & Myra), 1 pygmy goat (Boots), & many rabbits. I never had a rabbit when I was younger, but after getting my first two when I was 13 in 2009, I was attached to the animal like glue & wanted more of them & wanted to do more with them. After getting started with my first rabbit Sweetie, about a month after I added Buttons, a cute baby Chestnut Holland Lop doe,then came Butterscotch, Thumper, Jellybean & Marshmellow. It just never stopped! After getting my first few rabbits, an interest had sparked & I became more involved with rabbits. 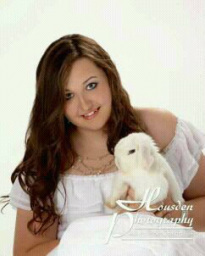 I've came a long way from just starting out breeding mix bunnies to now owning & showing grand champions. I'm in hopes to one day be improving the quality of my rabbits that I produce. I'm already having some nice babies born from my nice breeding & show stock. I have had many different breeds like Dutch, Mini Rexs, Lionheads, Flemish Giants, English Angoras, Polish, Californians, Jersey Woolies, Dwarf Hotots, American Chinchillas, Mini Satins, there was also a Florida White & a Tan come through my rabbitry. As you see I have had many different breeds, but nothing has held my attention like my Hollands & Netherlands. They will forever be my main breeds. Copright © 2013-Present. All content & photos property of Blue Eyed Beauties. 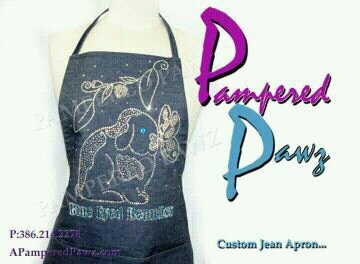 Template designed by Laura Freeman of Locket Rabbitry.